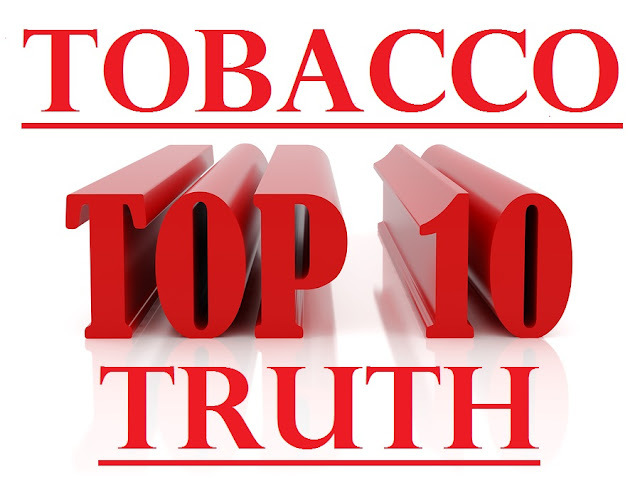 During the holidays we celebrate this blog’s eight years of factual reporting and critical analysis of science and policy surrounding tobacco and tobacco harm reduction. We’ve strived to satisfy the curiosity and technical interests of health professionals, while couching our message in terms that are comprehensible to the lay consumer as well. 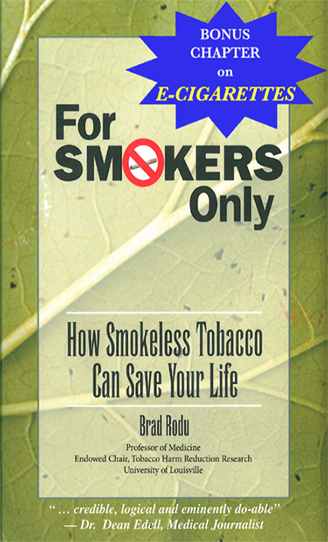 We are proud to note that Tobacco Truth has some 450 posts, with over 2.8 million pageviews. We sincerely hope this translates into a significant number of lives extended and improved. Based on pageviews, here are the Top Ten Tobacco Truths, with notable quotes from each. The Health Risks of Cigar Smoking 2012 “Cigars, the data show, have few health effects when used in moderation.” Also see this popular post in 2016. The following posts from the past year have been very popular as well. We approach the new year with a renewed commitment to elevate global public discourse on the science of tobacco harm reduction. Two individuals were recognized in September for their work in developing the human papillomavirus (HPV) vaccine. The Albert and Mary Lasker Foundation gave the Lasker-Debakey Clinical Medical Research Award to Douglas Lowy and John Schiller, researchers at the U.S. National Cancer Institute (NCI). Their work with a cow virus in the early 1990s led them to approach drug companies about a human vaccine. Sadly, other researchers who made even more important contributions were overlooked. This is their story. According to a 2006 article entitled “Who Invented the VLP [Virus-Like Particles] Cervical Cancer Vaccine?” in the Journal of the National Cancer Institute (JNCI) (here), development of the HPV vaccine was “an incremental process with multiple contributors” involving “key discoveries” by four separate research groups. Playing key roles were Jian Zhou and Ian Frazer at the University of Queensland (Australia); Shin-Je Ghim, A. Bennet Jenson and Richard Schlegel at Georgetown University; Lowy, Schiller and Reinhard Kirnbauer at the NCI; and Robert Rose at the University of Rochester. HPVs make a protein that assembles into VLPs, which present as antigens that stimulate our immune system to make antibodies and protect us from infection. Zhou and Frazer were the first to produce VLPs in 1991 (here), providing the basis for their claim to the vaccine patent. However, because their particles contained a defect from the engineered DNA they used, Zhou and Frazer were unable to produce functioning antibodies. Lowy and Schiller corrected the defect, resulting in VLPs that produced functional immunity. Their findings, published in 1992 (here) and 1993 (here), supported their patent claim. Meanwhile, almost simultaneously, Ghim, Jenson and Schlegel made other pertinent discoveries. Jenson produced antibodies in rabbits that reacted with all known types of HPVs; the researchers used these antibodies to verify that HPVs infected specific types of tissues. Ghim, Jenson and Schlegel also produced monoclonal antibodies that recognized specific HPV types, but their most important discovery was the production of antibodies that recognized VLPs of specific HPVs (here), which formed the basis of their patent claim. Rose also filed a patent claim based on VLP production, however, the publication of his findings in 1993 (here) trailed the other discoveries by one or two years. Based on the above-noted publications, the four research groups and their institutions filed patents from 1991 to 1993; they are listed below. with first inventors and filing dates. Because the four patents had overlapping claims, the U.S. Patent and Trademark Office declared an “initial interference” on June 24, 1997, according to a history published in 2012 by Nature Biotechnology (here). An interference is “a contest between an application [or patent] and either another application or a patent. An interference is declared to assist the Director of the United States Patent and Trademark Office in determining priority, that is, which party first invented the commonly claimed invention.” Resolution of the interference would determine who invented the HPV vaccine. Interferences are administered and resolved by the USPTO Board of Patent Appeals and Interferences. On October 24, 2001, the USPTO declared six individual interference actions, with each of the four research groups pitted against the others in separate contests. From the first patent filing in 1991, the issue was in dispute for over 14 years, until September 20, 2005. Lawyers employed by the researchers and institutions argued before at least a dozen judges. The stakes were huge, as the prevailing inventors and institutions would enjoy royalties from tens of millions of vaccine doses. It is clear from the table that the Rose patent was the weakest, as that group went 0-3 against the others. With a record of 1-2, the Lowy patent was the second weakest. Both Frazer and Schlegel were given priority over the other two, and since Schlegel won against Frazer to finish 3-0, the patent was awarded to Schlegel. The Schlegel priority designation was challenged by Frazer in the U.S. Court of Appeals on December 29, 2005. On August 20, 2007, the court reversed the USPTO decision and awarded the patent to Frazer (here). However, by that time, commercial developments had altered the landscape. It turns out that all four research groups/institutions had established formal corporate relationships in anticipation of commercialization of their vaccines. Georgetown inked a license agreement with MedImmune 1993; in 1995, Queensland licensed with CSL and Merck, and Rochester had license agreements with MedImmune. Two years later, the NCI also licensed their technology to MedImmune. By May 2005, pharmaceutical companies had signed cross-licensing agreements with all parties, assuring that the HPV vaccine would be available in the U.S. and 34 other countries in the Organisation for Economic Co-operation and Development. Ghim and Jenson’s discovery leading to their patent application resulted in the first of many articles by the two, according to the U.S. National Library of Medicine’s PubMed catalog. Since 1992, they published 47 scientific articles on papillomaviruses, immunology and vaccine development in 23 professional journals. I have produced a hyperlinked list of these publications and abstracts (here). Jenson’s contributions to papillomaviruses, immunology and vaccination began in 1980, resulting in co-authorship of 65 articles in the next 12 years in 36 journals of virology, obstetrics and gynecology, pathology, infectious diseases, vaccinology, pediatrics, dermatology, and otolaryngology. This publication list is also available (here). Each year, HPVs cause over half a million cases of cervical cancer, the fourth most common cancer – and the fourth highest cause of cancer death – among women throughout the world. In developing countries, cervical cancer is the second most common cancer and third highest cause of cancer deaths (here). In the U.S., the CDC estimates that HPVs cause 31,500 cases of cancer in the genital region and oropharynx of both men and women yearly (here). Almost all of these cancers can be prevented by HPV vaccines, which have been licensed in 100 countries (here). The Lasker Foundation should have recognized that the lion’s share of credit for inventing one of the most important vaccines in human history goes to Shin-Je Ghim, A. Bennet Jenson and Richard Schlegel; along with Jian Zhou (deceased) and Ian Frazer.